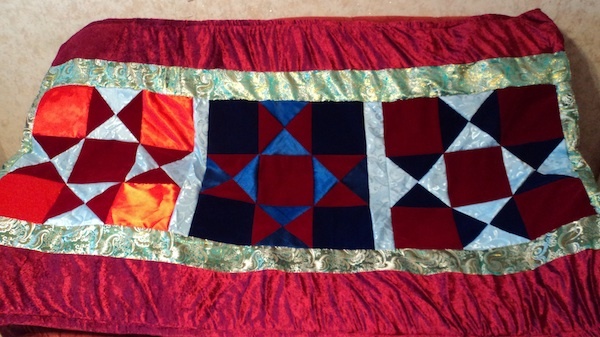 A hand made quilt made in Karaganda Kazakhstan. 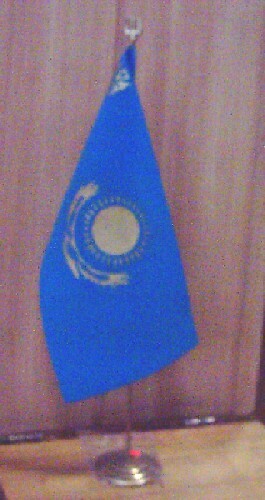 A Kazakhstan Flag on a flag pole. This is about 17" tall. Here is a great sticker! 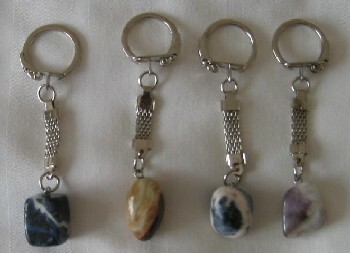 These are keychains made with natural stones from Kazakhstan. If you have a color preference, please just let us know in the notes section. 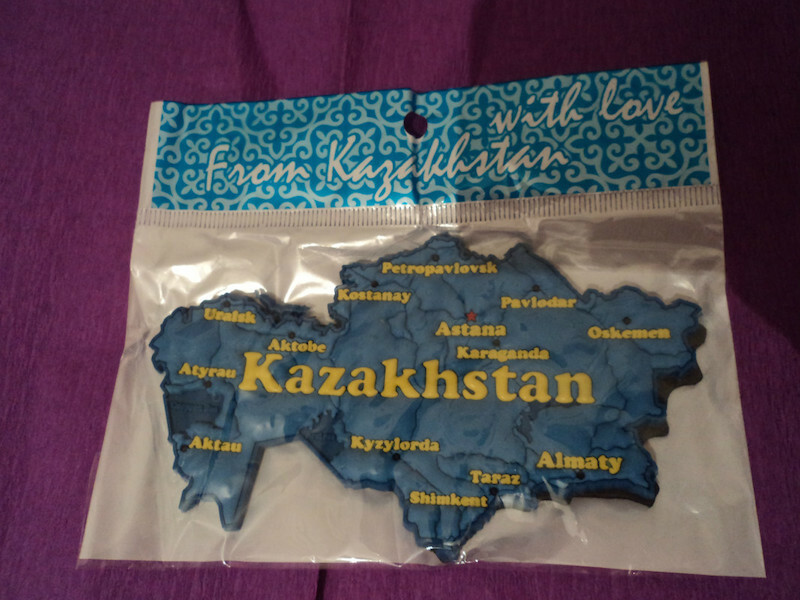 A map of Kazakhstan you can put on the fridge! 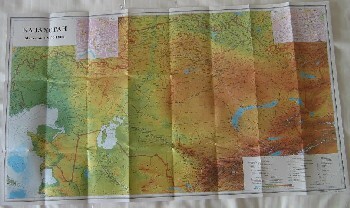 This is a map of Kazakhstan in Russian and Kazakh. 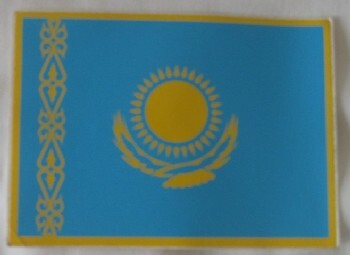 Kazakh Chocolate in musical instrument boxes.